A yoga blog wouldn’t be complete without a list of yoga poses that would suit those who are just deciding, or have just started, to do this ancient Indian practice. Here we’ll tell you exactly how to do the best yoga positions to get you started on your physical and spiritual journey, each focusing on the best introductory pose for a certain series. Let’s kick this off with the basics, shall we? Arguably one of the best and most popular beginner yoga poses, the Lotus position promotes balance and inner harmony. It’s an ideal beginner pose because it lets you get in tune with your body before you proceed to more complex yoga poses. To do this, sit Indian-style with your legs crossed, the soles of your feet facing the ceiling, and your heels pressing against your abdomen. Keep your back straight and rest your hands on your knees with palms facing up. This is a meditative pose, so keep your eyes closed and “listen” to your body as you breathe deeply in and out. If you can, try the half-lotus pose wherein one foot is resting on the crease of the opposite thigh, sole up. Eventually you’ll be able to achieve the full pose wherein both feet are in this position. The Mountain Pose is the most basic standing yoga pose, and is just as meditative as it is physical. The focus here is on the alignment, especially in the spine, which is foundational to all other poses in yoga. To do this pose, start by standing tall with your back straight, feet together with your heels slightly apart, your shoulders relaxed, and arms at your sides. Make sure your weight falls evenly on the soles of your feet, distributed evenly on all four corners of the sole. Tuck your tailbone in, ensuring that your pelvic girdle is in a neutral position, as if it were a bowl full of water that you don’t want to spill. Roll your shoulders back and away from your ears. Stay here for a few breaths as you ready yourself for your practice. From here you can go to Utthita Hastasana. As you inhale, raise your arms overhead with palms facing and stretch your arms as high as you can, your fingertips reaching towards the sky, lengthening your waist and creating space in your torso to allow for greater breath. The Cat-Cow Pose is a gentle warm up that loosens up the spine and shoulders, and integral before any yoga practice, especially among beginners. Move into a tabletop position with your wrists below your shoulders and your knees below your hips. The palms of your hands and tops of your feet are pressed evenly against the mat. With an inhale, look up and arch your back evenly, lengthening from the pubic bone to the sternum. When you exhale, round the back completely, by curling your tailbone in, as well as your chin to your chest, which stretches the back of the neck. Do this for a few sets, establishing an even and conscious breathing pattern that will serve you throughout your practice. While it is a restorative pose for regular practitioners, Downward Facing Dog/Adho Mukha Svasana can be a challenge to those with tight hamstrings, and can even cause injury if delved into right away. A better beginners pose to stretch out those hamstrings is an Adho Mukha Svasana variation called Puppy Dog. 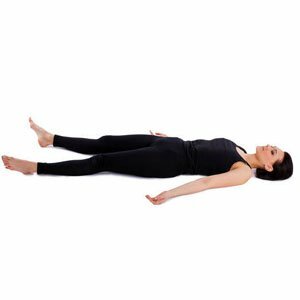 To get into this, face a wall with your feet far away enough so that your torso is parallel to the floor, at a 90 degree angle. With feet hip-width apart and parallel to each other, bend forward from the hip with your arms outstretched above your head. Press your hands against the wall and push, engaging your triceps and opening the shoulders. This should stretch out the sides of your waists as well as your hamstrings in a less stressful way than Downward Facing Dog. This is one of the simplest externally rotated balancing poses. To do the Tree Pose, start by standing tall, back straight, with arms at your sides. Then shift your weight onto the left side of your body as you bend your right knee sideward and place the sole of your right foot against the inside of your left thigh. The positioning of your legs at this point should resemble the number 4. Keep your hips faced forward and centered in a neutral position. Once you attain balance, bring your hands together in front of you as if in prayer. To advance into the full pose, lift your arms above your head as you inhale, palms still in prayer pose, and hold this position for 30 seconds. Look up if you can. The Triangle Pose is one of the basic standing yoga positions that relieve neck and back tension, and helps trim the waist. To do this, stand with your feet around 3 feet apart, with your right foot angled at 90 degrees and your left foot facing the front of the room. Then, raise your arms sideways and bend over to your right side so that your right hand is clasped around your ankle. Your left hand should be pointing toward the ceiling, with your head turned in the same direction. Make sure you tuck your tailbone in as you try to get your whole body into one plane. Hold this position for 5 breaths, and then repeat on the other side. Warrior 2 is a great hip-opener, and a foundation pose to many other positions. To do the Warrior 2 Pose, stand with your legs 3-4 feet apart and turn your right foot towards the side of the room and your left foot slightly turned inward. Let your shoulders relax, then slowly lift your arms sideward, your palms facing the floor. Then bend your right knee to a 90-degree angle, making sure that your knee doesn’t extend past the toes. Turn your head to the right and hold this position for 1 minute as you inhale and exhale. Switch sides and repeat the steps. This is one of the yoga poses that are often used to begin position sequences and combinations. Also known as a Standing Forward Bend­­­, this position is used to relieve stress and stretch the calves, hips, and hamstrings. To do the Standing Forward Fold, stand with your back straight and your hands in a prayer position in front of your chest. Then lower your body and bend forward while keeping your legs straight. Hold this position as you inhale and exhale. This is one of the best yoga poses that effectively stretches the spine, shoulders, and abdomen. A mild backbend, this opens up the chest and strengthens the back. To do the Cobra, lie on your mat face down with your legs extended behind you and the tops of your foot touching the floor. Bring your hands to the sides of your ribs beneath the elbows. Spread your fingers wide, keep your elbows close to the body, and let your weight fall to your hands as you lift your upper body off the floor until your chest and abdomen are no longer touching the ground. Lift your head towards the ceiling as you do this, and hold this pose for 15-30 seconds as you inhale and exhale. Take care that you don’t strain your neck in this pose, as your back should be doing all the work. Many would agree that is the best pose! And contrary to what you would think, probably the most important pose in yoga, as it allows you to absorb all the benefits of yoga at the end of your practice. To get into this pose, simply lie on your back. Keep your legs wide apart, around the width of your mat and let your feet roll open to the sides. Release your hands to sides, away from your chest but not too far apart. Relax completely, softening all the muscles in your face and simply letting go. Breathe quietly and softly, gradually lengthening your exhales. Try not to fall asleep or let your mind wander – try to turn your gaze inward and keep it there for about 5-10 minutes. This is probably the most difficult part. When you emerge from Savasana, you will feel completely re-energized and blissful. There you have it, folks. Those are 10 of the best beginner yoga poses that you can do if you are just starting to get into a yoga routine. Don’t stress if you can’t lift your body that high or bend over too low. Remember these are beginner yoga poses designed to stretch and strengthen your body so you can gradually move into more complex positions. With enough time, patience, and practice, you’ll get to achieve flexibility and strength, and enjoy the many other benefits of yoga.